This 32pc Flora Dinner Set is carefully crafted by our expert craftsmen by using latest technologies in confirmation to the illustrated parameters of the industries. It is available in different eye-catchy designs for gifting purposes and widely used for serving food at special occasions and traditional ceremonies. 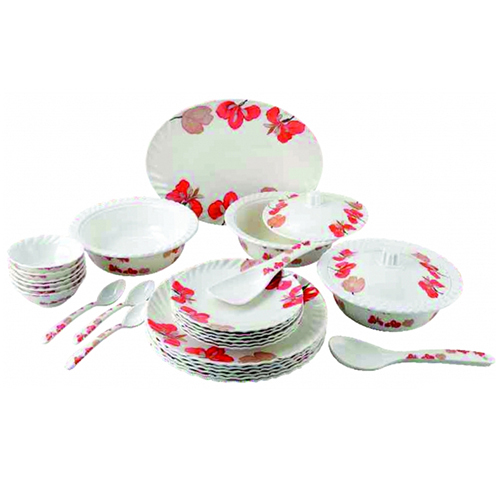 Further, these dinner sets are available in different sizes, capacities and deigns, which is uniquely designed in line with the market demands. Our provided 32pc Flora Dinner Set is known for their unique features like crack resistant, resistance against corrosion, light weight and contemporary design.